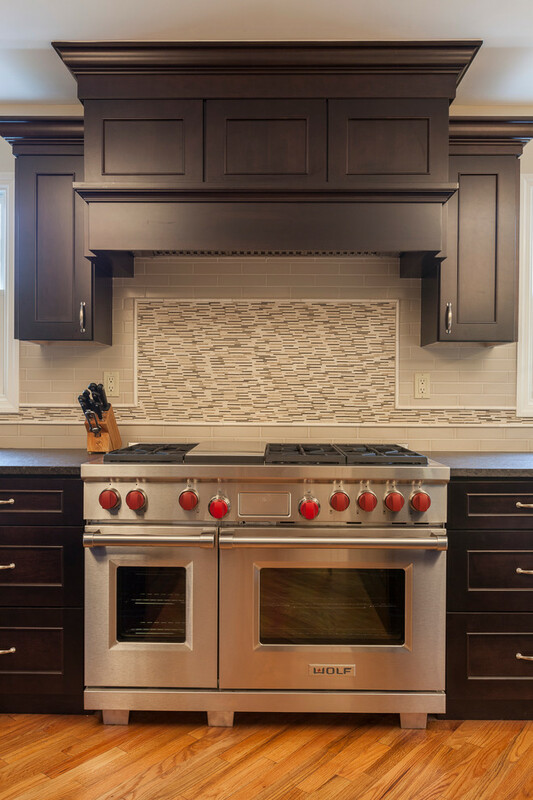 This kitchen received a major overhaul courtesy of the design team at Simply Baths & Showcase Kitchens, complete with dual-finished cabinetry and dual granite and a hand-made ceramic backsplash. Even the fireplace was re-faced and a small bar area was added. The new kitchen is redefining classic for today's modern family. 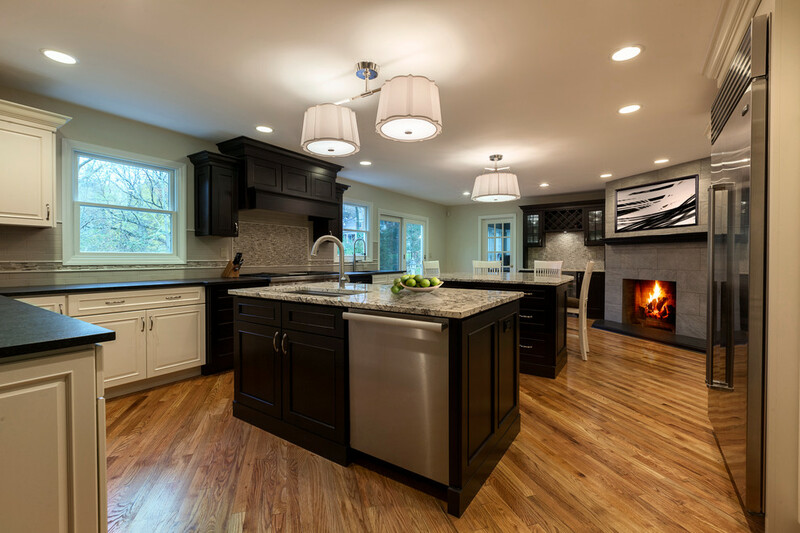 This kitchen received a major overhaul courtesy of our design team, complete with dual-finished cabinetry and granite and a hand-made ceramic backsplash. Even the fireplace was re-faced and a small bar area was added.